Get your motor running, head on the highway, looking for adventure, and whatever comes our way. You’ve definitely heard Steppenwolf’s classic song “Born to be Wild” at least a few hundred times in your life, and if you’re like the majority of people out there, you’ve probably got a sense somewhere deep down that motorcycles are just… well, really cool. Of course, for every image of Marlon Brando looking intense in The Wild One, and every trope of a cool kid racing through town on his slick bike, there’s the less flattering association of a guy having a midlife crisis and upsetting his wife by bringing home a beast of a Harley, or the unfortunate fact that motorcycles are, after all, pretty dangerous. If, however, you’re willing to deal with the sideways glances from your relatives, and are happy enough to take the risk of riding one of these humbling machines, there are a few pretty compelling reasons why you might want to get Shiply to deliver a motorcycle to your home in the near future. Life is often pretty dull, and especially for those of us who live our lives in offices, sitting in front of screens, the urge to just get away from everything, cut loose, and blaze down the open road, can be extreme and overwhelming. Whatever else a motorcycle may be, it’s undeniable that riding a motorcycle is a thrill. It’s a far more visceral experience than riding a car. You’re exposed to the open air with the wind whipping around you, every movement of your body affects the machine you’re sitting on, you can feel the vibrations shooting up your spine, and the world seems really up-close and personal. 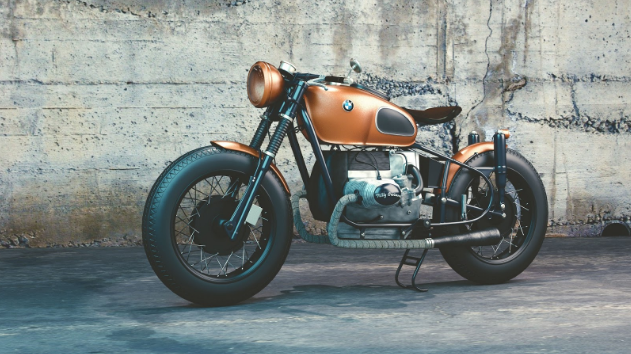 There’s a reason why so many people, from adventure writers to rebels and awestruck businessmen have commented on the thrill of riding a motorcycle. Riding a bike really makes you feel alive. Now, it seems a bit unsophisticated to say that you should get a motorcycle because they’re cool and because you’ll be more cool as a result, and you obviously don’t want to be a tryhard, but riding a motorcycle is the kind of thing that will make your life more interesting, and that will make other people more interested in your life. When you ride a bike, a whole new world of possible experiences open up before you, and you become part of a global fellowship of sorts. It’s the kind of hobby that really add a splash of colour to balance out the more grey days. Riding a bike requires your full attention in a way that even driving a car doesn’t. While, in a car, you obviously need to be alert and focused on the road, you can still have conversations with passengers, sing along to the radio, and shift around in your seat without much trouble. On a bike, it’s just you and the road, and you need to keep focused on your surroundings and your posture entirely. One wrong move can be absolutely devastating. All of this makes riding a bike something like meditation. You still your mind, focus on your surrounding, and feel truly centred.